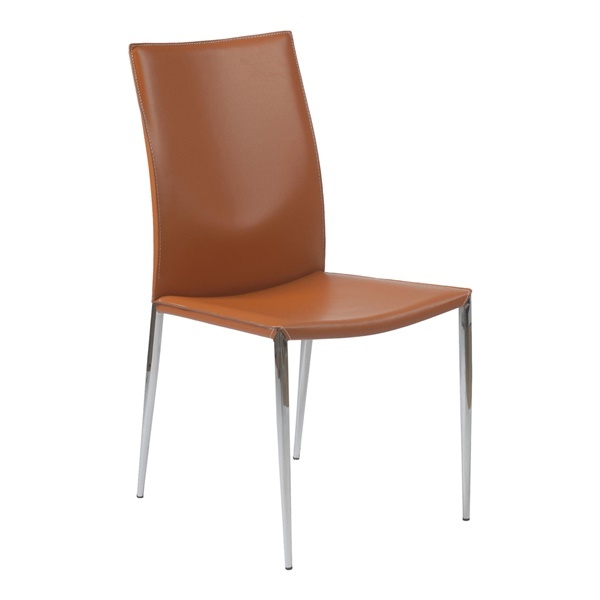 A leather side chair with immaculate style. In fact, if a chair could do the runway at an haute couture fashion show this would be it. It's a truly tailored look in leather and chrome. We ordered 8 of these for a clients modern dining room. They look incredible and are a great price!